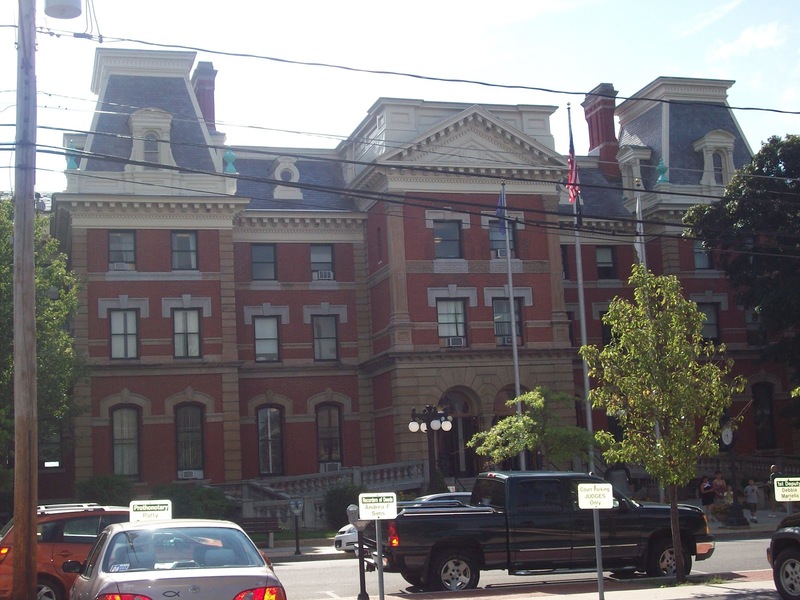 I argued an objection in Cambria County Court of Common Pleas in Ebensburg, Pennsylvania on Monday, so I grabbed some pictures for the Pennsylvania Courthouses Photo Album! 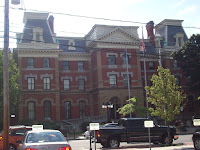 It's yet another beautiful PA Courthouse. The inside is just as stunning with stained glass ceilings and "domes" in the courtrooms. It actually has this really cool amplification effect, where your voice sounds louder when you stand at the podium. It also features "stadium seating" (kind of) so the back seats are higher than the front seats, and the lawyers are sort of in a pit (I'm probably overstating the height differential here). Click here to view the photo album on Picasa. It's great to see more Pennsylvania landmarks. I enjoyed your vivid description of the interior also. It seems that churches and courthouses are usually the most beautiful buildings whether in small towns or cities.